Upgraded hood pads provide a buffer to keep the hood pressed firmly in position while driving. They also help to prevent unwanted rattling or scraping due to the poor glue used on the original hood pads, or the lack thereof. 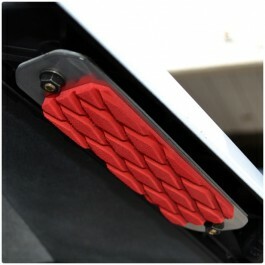 Upgraded hood pads also pad the hood when it is closed to help prevent paint scuffs or damages.